In the NorthEast, the Striped Bass is king of the inshore fishery. 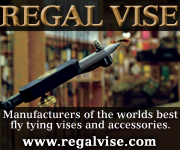 We carry a selection of both traditional and original patterns that have been developed over years of experience. Let Merrimack River Flies help you to catch the fish of a lifetime! A slender fly that is the perfect shape and size to imitate the abundant sand eel in the Northeast waters. 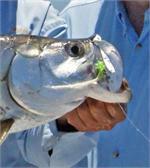 Great on stripers and Bluefish! 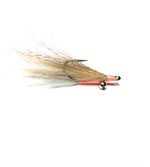 8" long Adult Bunker flies tied with extra strong Gamakatsu octopus hook and durable synthetic materials. Large 3D eyes finish this realistic looking Bunker Fly. The Mackerel Deceiver features a splayed tail for increased action on the retrieve and 3D eyes for added realism. The Mackerel Deceiver Fly is between 5" and 6" long and is available in three popular colors. 7 inch long mackerel fly tied with durable synthetic material and premium gamakatsu SL12S hooks from the tying bench of Merrimack River Flies.